AUTOMOBILE ACCIDENT AND WRONGFUL DEATH: If you suffered a serious injury or lost a loved one in an accident in central Tennessee, including car accidents, motorcycle accidents and trucking accidents. Attorney Julia Stovall will aggressively pursue full and fair monetary compensation for your damages related to your medical costs, lost wages, and pain and suffering. TENNESSEE FAMILY AND DIVORCE LAW: Including contested divorce litigation and uncontested settlements and mediation. She understands the complexity of issues involving child custody, high-asset property settlements and spousal maintenance. She will aggressively protect your rights and family interests throughout your divorce. 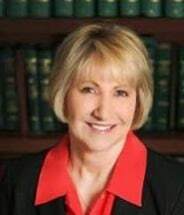 She also handles other family law matters such as prenuptial agreements, child support enforcement, post-judgment modifications and paternity litigation. CRIMINAL LAW and DUI CHARGES: If you are under investigation or have been charged with drunk driving or a criminal offense, attorney Stovall will begin working immediately to protect your rights and your future. She has extensive experience providing aggressive defense representation for misdemeanor and felony charges such as DUI, theft and property crimes, assault, domestic violence, drug offenses and serious traffic violations. Attorney Stovall represents clients in courts in Williamson County, Maury County, Marshall County and other counties throughout Middle Tennessee. She offers a free initial consultation and accepts all major credit cards for your convenience. Motor vehicle accidents cause the loss of time, property, health and even life. Whether your divorce is hotly contested or you agree with your spouse about everything, it is important to consult a family law attorney to learn your right and responsibilities.